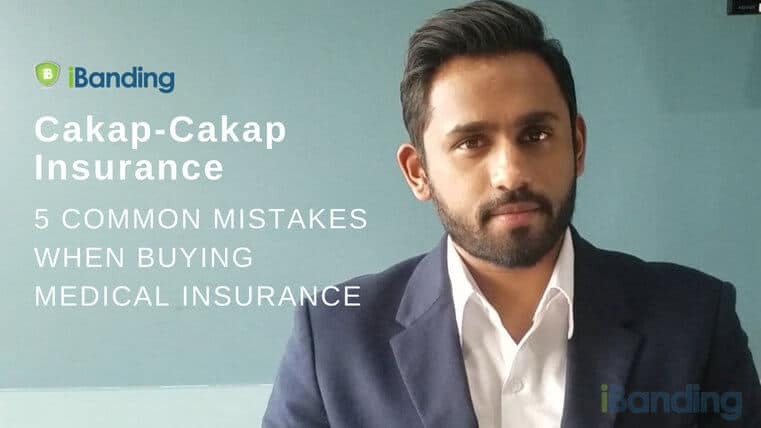 Cakap-Cakap Insurance is a new series presented by iBanding where we speak to the industry experts to gain understanding and insights into insurance related matters. In this first episode, we proudly present Mr. Samuel Raj who speaks to us about the 5 most common mistakes Malaysian consumers make when it comes to buying their medical insurance plans. Hi I’m Samuel, and I’m here today to talk about five common mistakes when buying medical insurance. The most common mistake when people buy insurance is not buying at all, or even worse, they delay to buy medical insurance when it’s just too late. You should never procrastinate purchasing a medical insurance as soon as you can afford to because you never know when illness or accident might hit you. Buying insurance is a necessity in this day and age because the cost is really, really expensive if you were to pay it out of your own pocket. The second most common mistake I see in buying medical insurance is that the clients do not disclose their full medical history to the insurer or the agent.This is a very dangerous mistake and it could lead to your claims being rejected when you need it the most. At the time when you are sick and have an accident, to have a rejection letter from the insurance company is not something you want to face. Third most common mistake when purchasing medical insurance would be not reading the finer points and the exclusions to your policy. Different policies have different exclusions and these exclusions range from types of treatments allowed, types of hospitals, and as well as the waiting periods. Some illnesses have longer waiting periods, some illnesses have shorter waiting periods. This is very crucial when you buy a medical insurance. Number four on the list would be insufficient coverage when purchasing when purchasing medical insurance. Some of your medical insurance policies which you purchased 5, 10 years ago might not be sufficient to cover the hospital charges and current day medical inflation goes about 10% per year in Malaysia and it’s very frightening to know that your medical card might not be enough and you need to top up your own cash. Also sometimes clients rely too much on employer’s benefit for them and their family. This is very dangerous as this is not guaranteed and if they switch their jobs they might not have the coverage anymore. Lastly, the most common mistake I see throughout my career as an insurance agent would be clients not doing suitable comparisons for the coverage or with different companies or with different agents. Some agents you know might be very easy to work with and some much more harder. So please guys, do your comparison. Use site like iBanding for example. To contact Samuel, click on his agent profile here. To learn more about medical insurance, refer and bookmark our ultimate guide to medical insurance in Malaysia.